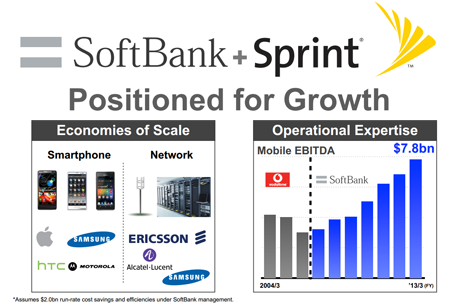 SoftBank completed its acquisition of Sprint. Earlier on Tuesday, Sprint completed its acquisition of Clearwire. 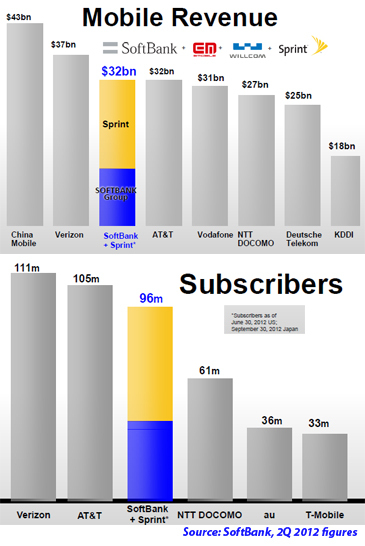 Sprint paid $5.00 per share, valuing Clearwire at approximately $14 billion, or about $0.30 per MHZ-pop. Softbank expects the acquisitions will bring $2.0 billion in annual cost savings to Sprint by leveraging economies of scale and operational expertise. In terms of global procurement, Sprint and Softbank combined have a mobile CAPEX budget of US$11.9 billion, second only to China Mobile (US$20.4 billion), and ahead of AT&T, Verizon, DOCOMO and KDDI. Leverage the Clearwire spectrum, the largest spectrum portfolio in the U.S. but in the upper bands. Its spectrum is an average 163 MHz in the top 100 U.S. markets. Clearwire operates a nationwide WiMAX network and has been planning to make the transition to TD-LTE. Its main wholesale customer has been Sprint. The companies had previously planned on extending the WiMAX arrangement through 2015. 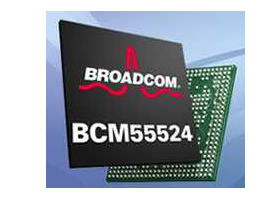 The companies have outlined ways of bridging their FD-LTE and TD-LTE networks with dual-mode devices that are under development. Bring iDEN spectrum to LTE -- Earlier this month, Sprint pulled the plug on its Nextel iDEN network. This will add nationwide 800 MHz coverage to the Sprint LTE network. Strengthen M2M -- Sprint is already active in this area. T-Mobile unveiled its JUMP! program for enabling customers to upgrade their phones up to twice a year. Basically, the program makes it easier to upgrade to a new device without having to wait out a lengthy contract. JUMP!, which has an enrollment fee of $10 per month, is packaged with a smartphone insurance program. 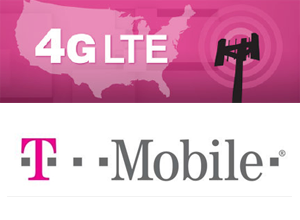 New phones are financed through T-Mobile's Equipment Installment Program (EIP). Customers will need to trade in an eligible T-Mobile phone in good working condition at a participating store location. Any remaining EIP payments will be eliminated, and current customers can purchase new phones for the same upfront pricing as new customers, with device financing and Simple Choice Plan, a no-annual-service contract. On the network front, T-Mobile announced that its LTE network now reaches 157 million people across the United States in 116 metropolitan areas. The LTE network was launched just four month ago. The company said it is on target to deliver nationwide LTE network coverage by the end of the year, reaching 200 million people in more than 200 metropolitan areas. "At some point, big wireless companies made a decision for you that you should have to wait two years to get a new phone for a fair price. That's 730 days of waiting. 730 days of watching new phones come out that you can't have. Or having to live with a cracked screen or an outdated camera," said John Legere, president and CEO of T-Mobile US. "We say two years is just too long to wait. 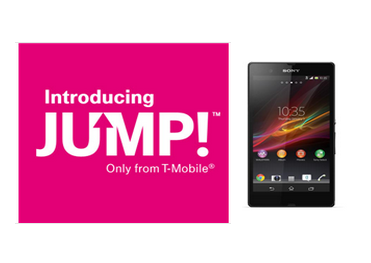 Today, we're changing all that with the launch of JUMP! " Amazon Web Services announced a price reduction of up to 80% on its Amazon EC2 Dedicated Instances, which are EC2 instances that run on single-tenant hardware dedicated to a single customer account. Amazon Dedicated Instances offer On-Demand and Reserved Instance purchasing options. Dedicated Per Region Fee - An 80% price reduction from $10 per hour to $2 per hour in any Region where at least one Dedicated Instance of any type is running. Dedicated On-Demand Instances - A reduction of up to 37% in hourly costs. For example the price of an m1.xlarge Dedicated Instance in the US East (Northern Virginia) Region will drop from $0.840 per hour to $0.528 per hour. Dedicated Reserved Instances - A reduction of up to 57% on the Reserved Instance upfront fee and the hourly instance usage fee. Dedicated Reserved Instances also provide additional savings of up to 65% compared to Dedicated On-Demand instances. 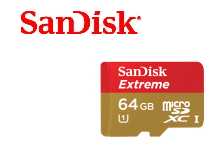 SanDisk introduced its Extreme microSDHC and microSDXC UHS-I memory cards, delivering 64GB of storage for smartphones, tablets and cameras. SanDisk says these microSDXC cards are the fastest on the market1, with up to 80MB/sec read and up to 50MB/sec write speeds, allowing faster shot-to-shot performance, rapid data transfer, fast action photography, continuous burst mode and quick file transfers. Seagate Technology unveiled two new enterprise-class hard disk drives (HDD) optimized for emerging cloud infrastructures and large scale data centers — the Seagate Terascale HDD and the Seagate Enterprise Performance 10K HDD v7. The Terascale HDD is the highest capacity HDD (4TB) available in a 3.5-inch enterprise-class SATA HDD and represents Seagate’s lowest $/GB enterprise HDD for use in scalable multi-drive systems. 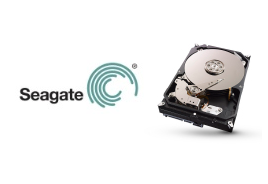 It features Seagate’s own Instant Secure Erase (ISE) technology, which reduces drive erasure times from hours to milliseconds providing quick, safe and easy drive disposal or repurposing. It also features a low-cost 6Gb/s SATA interface. The Enterprise Performance 10K HDD v7 is equipped with 1.2TB of data storage providing data centers with both the performance needed for the most write-intensive applications and the scalability to meet storage growth and business objectives. It features one of the highest GB/Watt power optimization and cooling costs in a 2.5-inch enterprise 10K HDD available. The drive also incorporates Seagate’s PowerChoice™ technology which enables IT organizations to tailor systems for enhanced power consumption during idle periods. It is equipped with a 6Gb/s SAS interface. Telkom Indonesia has selected Alcatel-Lucent to build a next-generation agile optical network in the Kalimantan and Sulawesi areas, as well as the greater Jakarta region, which generates around 50% of Telkom Indonesia's data traffic. Financial terms were not disclosed. The network, which will be based on converged WDM/OTN technology will enable Telkom Indonesia to provide 100G capability, will carry over 50% of traffic in the carrier's service area. Alcatel-Lucent is supplying its 1830 Photonic Service Switch (PSS) converged WDM/OTN platform. Telkom Indonesia currently provides high-speed broadband to more than 19 million customers and 125 million cellular customers. "With geography spanning more than 17,000 islands, Telkom Indonesia was looking for a technology provider to build a network foundation that can serve a wide territory cost-efficiently and effectively. The work Alcatel-Lucent is doing will help create a common platform for network capacity and efficiency that covers 200 million residents of Indonesia," stated Bobby Rasyidin, Alcatel-Lucent's Senior Executive in Indonesia. The latest release of Dell Wyse WSM desktop and application virtualization software (Version 6) adds server streaming capability. Dell Wyse WSM delivers operating systems and applications separately to stateless, diskless clients on demand, providing a manageable, reliable and scalable PC computing experience from the cloud. Unlike traditional VDI, Dell Wyse WSM enables the desktop OS and applications to execute locally on the client, giving that client the same look, performance, feel and function of a traditional desktop PC, but storing all OS, applications, and data in the datacenter. With no OS residing on the client, management, support and updates, including Windows XP and 7 migrations, are done centrally and take considerably less time than with a traditional distributed environment. 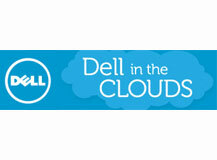 By adding on-demand delivery of server OS images, Dell said it is enabling another computing alternative that helps organizations quickly stand up new servers where and when needed, and gives employees and students secured access to content regardless of location. 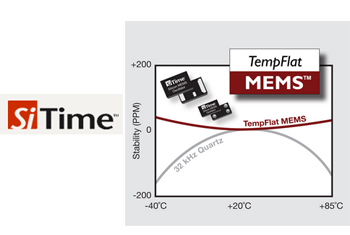 SiTime introduced TempFlat MEMS technology -- an ability to eliminate temperature compensation in precision timing applications, resulting in higher performance, smaller size, lower power and cost. TempFlat MEMS technology is being used in SiTime’s SiT15xx family of kHz oscillators for Smartphones. The devices are currently available. Ceragon Networks reported new orders valued at $3.5 million from a large Asia Pacific (APAC) mobile operator. The equipment is being deployed as part of the operator's LTE network upgraded. Ceragon is also supplying a range of professional turnkey services including planning, network design and project management to ensure fast time to market for the operator and fast time to service for its customers. "Ceragon's microwave backhaul solutions offer operators in the APAC region a quantum leap in capacity for their 3G and 4G network rollouts without sacrificing profitability," said Ira Palti, Ceragon Network's President and CEO.